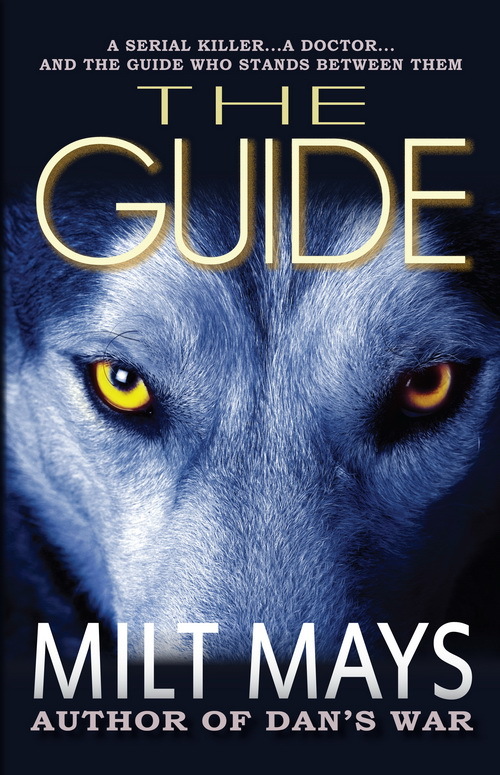 To celebrate the release of Milt Mays’ new thriller, The Guide, I have one eBook copy to give away to a reader anywhere in the world. Here’s a little about the book, an adventure set in the wilderness of the Rocky Mountains. Is your fly fishing guide willing to die for you? Stony lives for fly fishing in the wilderness. It literally saved his life. After Stony massacred an entire village in Vietnam, addiction and PTSD almost killed him. Alaska, fly fishing, and a woman and her wolves brought him back from the brink. He made a vow to her on her deathbed to always help people, and to never kill another man. Now he has a new lover, and is finally clean. So when he takes a seemingly ideal client deep into the wilderness of Rocky Mountain National Park, he never dreams that his most sacred vow will be tested to the breaking point. He will have to save his client from a serial killer, a murderer so devious he has managed to become a respected doctor—and his client’s partner. It’s taken Stony thirty years to disentangle himself from psychological hell. Now, hampered by all the dangers high altitude wilderness can throw at him, Stony must risk sinking into mental hell forever by killing an evil doctor—or risk losing not only his client, but his new soul mate. Milt graduated from the Naval Academy and Creighton Medical School. His medical career included tours with the Marines, a Navy security group in Scotland and now at the Veteran’s Hospital in Cheyenne, Wyo. 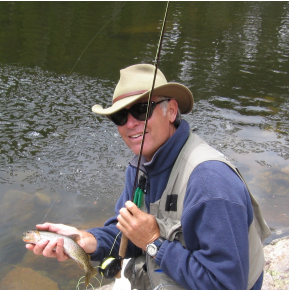 He has been a fly fishing guide in Rocky Mountain National Park and continues to ply those waters with a long stick and pieces of fur and feather. A new edition of his latest book, “The Guide,” comes out June 1, 2014. The book won first place at the 2011 Pikes Peak Writers contest. Milt is married in Fort Collins, Colorado, with three children and a grandson who will soon be learning the joys of flinging a fly. Courtesy of the publicist, I have one digital copy of The Guide to giveaway. The giveaway is open internationally. To enter, fill out the form below on or before midnight, June 14th. For an extra entry, tweet or blog about the giveaway. Winners will be contacted by email and have 48 hours to respond. Source: Giveaway provided by JKS Publications.